This trigonometric functions calculator can help in determining the values of six trig functions in no time. You'll find here not only the three basic functions - sine, cosine and tangent, but also their reciprocals: cosecant, secant and cotangent, respectively. 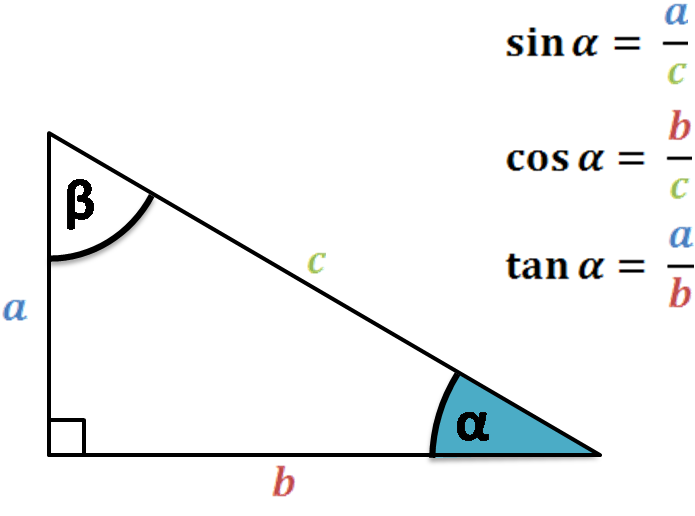 Scroll down to read more about trigonometric ratios, to find sin cos tan charts and learn the mnemonic rule to remember functions definitions - sohcahtoa. 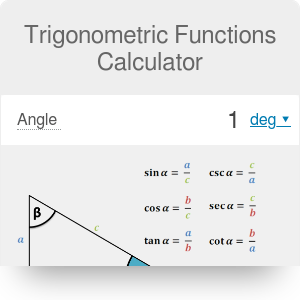 Don't wait any longer, give this trigonometric functions calculator a try! 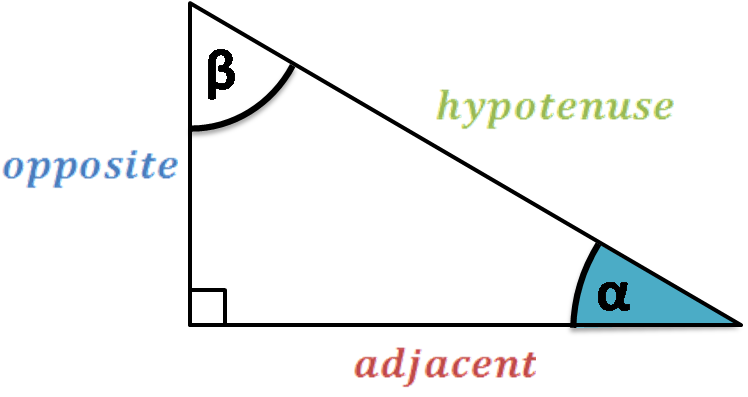 hypotenuse - probably you heard that term when learning about the Pythagorean theorem. So it's the longest side in the right triangle - the opposite one to the right angle (90°). adjacent side - the side forming the angle of interest (in our case, angle α), which is not a hypotenuse. This side is adjacent to both the angle of interest and the right angle. opposite side - the side opposite to the angle of interest (in this case, angle α). But if you don't care too much about the details, and just want to calculate all functions at once, use this tool as a complete sin cos tan calculator. If you think that's all trigonometric ratios, the six above - you're wrong. There are many other trig functions - like e.g. hacoversine, exsecant or versine - but, fortunately, they are archaic and obsolete, so not used nowadays. If you want to read more about those trigonometric functions used in dark pre-calculators ages, check out this post by Evelyn Lamb from Scientific American Blog. Maybe you heard about that helpful sohcahtoa ("soak-a-toe", "sock-a-toa", "so-kah-toa") mnemonic? SOH stands for Sine equals Opposite over Hypotenuse. CAH stands for Cosine equals Adjacent over Hypotenuse. TOA stands for Tangent equals Opposite over Adjacent. Or invent your own, they are always the easiest to remember! The trigonometric functions can also be defined in terms of the rise, run, and slope of a line segment relative to horizontal. Enter the angle. Choose between degrees and radians (in two versions rad or π rad). Let's take π/3 as an example, so choose π rad unit and type 1/3. Here it is! Six trig functions calculated by the trigonometric functions calculator in the blink of an eye! And also an explanatory image, if the angle is acute. What more can you ask, right? 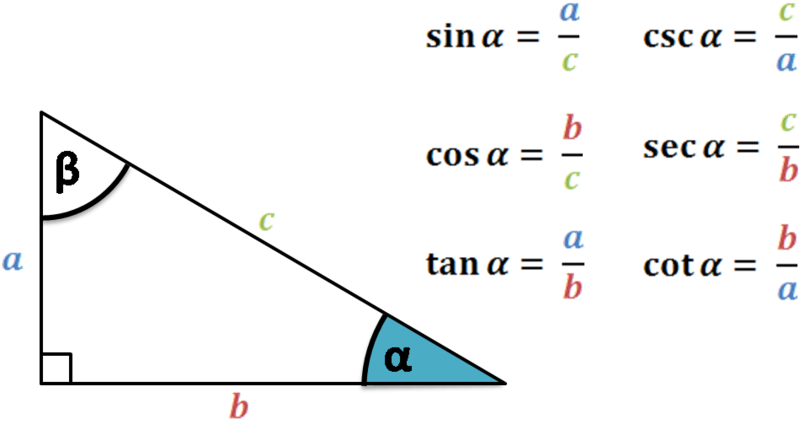 As you know six basic trigonometric functions, you're ready for more advanced topics, such as law of sines and law of cosines. Sig fig calc which performs conversion of any number into a number with desired amount of significant figures. Exponent calculator helping in raising any number to any power, in line with scientific notation tool to convert from any decimal value to scientific notation. LCM and GCF calculators to find least common multiple and greatest common factor of a set of the numbers. Trigonometric Functions Calculator can be embedded on your website to enrich the content you wrote and make it easier for your visitors to understand your message.